When I got home from the Archives this afternoon I found one of those red cards from the postman through the door to say he'd tried to deliver three parcels but that I hadn't been in. Luckily in Cudworth the parcels are initially returned to the local post office so I dashed up there with my proof of identity and the red card hoping and praying the parcel(s) were still there. The menu on the screen can be navigated using the buttons, you get the choice of 300dpi or 600dpi scans and a 1, 2 or 10 minute delay before the machine powers down automatically to save battery power. 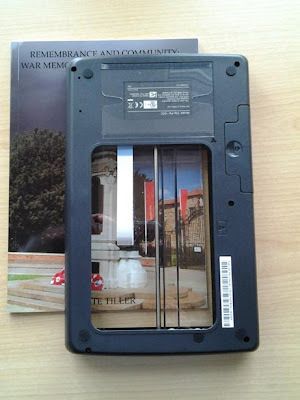 There are also some simple instructions, but a full User Guide can be found on the SD card included when you put it in your computer. First you have to remove the lid - this is a bit scary the first time, but actually it's fairly simple, there are a couple of little tabs to the right and left of what they call the photo guide, that's the plastic strip to the top of the glass screen in the picture of the Flip Pal with its lid up two pictures back. The three slots you can see in the picture above are where three tabs click into place to hold the lid on. You have to turn the scanner over and position it over the item to be scanned. It took four scans to cover this book cover image - you have to overlap the scans by about a inch so the software can do its business. 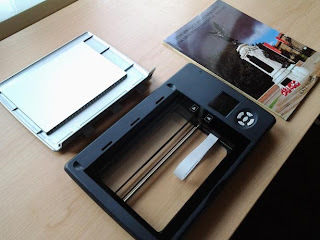 It doesn't matter if you don't get the scanner dead straight each time - the software can sort that out too. It looks a bit funny watching the scanner work, not a thing we are used to seeing. 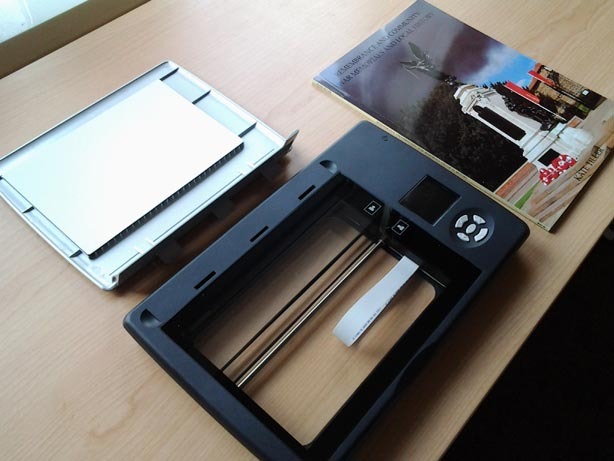 Being able to see straight through the scanner means you can also easily scan pictures in books or photos in albums without struggling to get the book or album onto the platen of a flatbed scanner and lining up the picture, and of course you can scan things that are larger than A4! 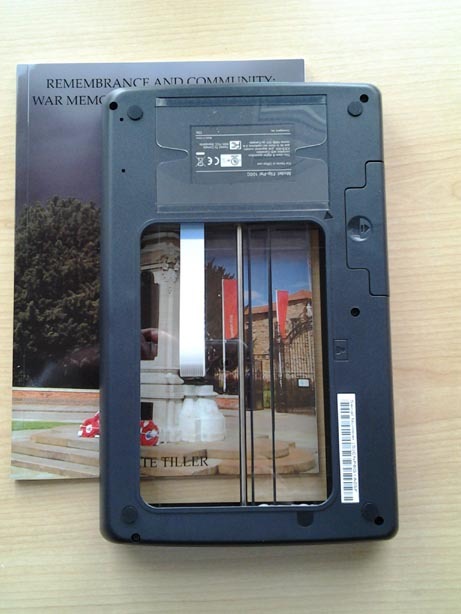 The image of the book cover is flawless, I certainly can't see the join between the four images from which it is made. The black bits around the edges are a small cause for concern, it should be 'wood grain' (the top of my chest of drawers in my window). I can only assume that sometimes too much light comes in around the edge when the scanner is raised off the background surface and this causes the black effect. But as I am actually only after the book cover image I can soon crop the image down in Photoshop. If you were taking a scan of a photo in an album you would want to crop the background anyway so I can't see this is a problem, plus a photo is a lot flatter than a book! Incidentally the book shown was another part of my GBBF leaving present. 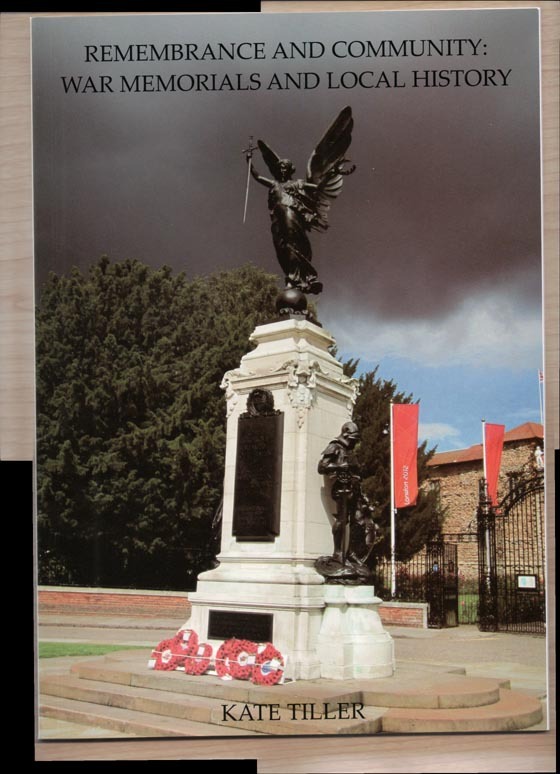 It is Kate Tiller's recent book about War Memorials and it is available from the British Association for Local History. I was so busy playing with my new shiny toy that the OH came in from work and I hadn't even started his tea. Sorry love. After tea I just had to show him how it worked and successfully scanned a picture of a pub in two parts from the most recent issue of CAMRA's Beer magazine. I've cropped the picture and tweeked the contrast - well it was from a matt paper magazine, but again you just can't see the join between the images - at all. 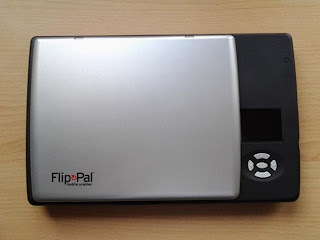 I enjoyed this so much as I have just received my Flip Pal Scanner. Barnsley area is if interest to my research namely William Guest, Martha Kershaw (parents William Kershaw and Diana Beevers and also Mary Mansfield perhaps in Silkstone. I got my Flip-Pal as soon as you could buy them in the UK. 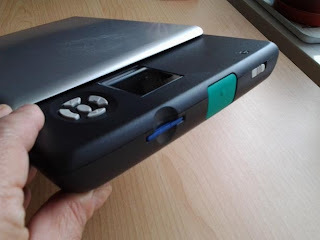 Last year I used it to scan a whole bunch of family photos that my sister in law has in her possession. 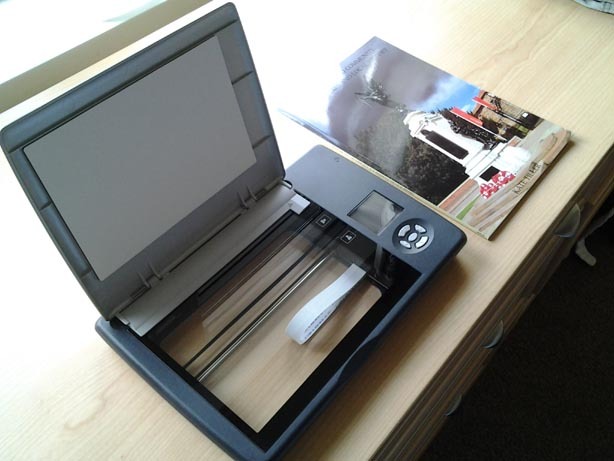 I also bought a new flatbed scanner which will do slides and negatives. All I need now is the time to scan everything.